Northwest Green Chemistry builds on its staff’s track records of stakeholder engagement and cutting edge program development in nonprofit organizations and experience creating practical, market-shifting tools. Our core strengths in green chemistry and engineering research, combined with our role as a trusted third-party facilitator of stakeholder collaborations drives meaningful change toward solutions that 1) preserve natural capital, 2) are safe and sustainable across the product life cycle, 3) align and leverage different types of policy instruments, and 4) actively engage stakeholders to ensure equity. Anna Montgomery joined NGC in January 2018 after years spent as a consultant, executive director, small business owner, program director, and leadership expert. She has 20+ years of experience in leading nonprofits, fundraising, financial management, governance, and change management initiatives that drove triple digit revenue growth. She’s spearheaded multiple strategic plans, donor programs, and has provided advice, training, and educational tools to dozens of nonprofits. Entrepreneurial strategies, creativity, and innovative thinking have helped her guide organizations toward sustainability. Anna has also created and grown successful programs, conducted sophisticated evaluation, and initiated inter-sectoral collaborations that increased collective impact for vulnerable communities. Early in her career she worked at the corporate headquarters of a nationwide healthcare company in risk management, human resources, and compliance. Well versed in scientific research she has conducted diverse experiments in genetic ecology, nonprofit leadership, and educational psychology. She received her bachelor’s degree in Biology from Colorado College and her master’s degree in Public Administration from the University of Southern California (USC) Price. She is currently a doctorate candidate in Organizational Change and Leadership at USC Rossier. Her doctoral research is focused on nonprofit leadership development using an educational psychology framework that examines structural, knowledge, and motivational barriers to organizational goal achievement. Dr. Lauren Heine applies green chemistry, green engineering and multi-stakeholder collaboration to the development of products and processes. Lauren led development of both GreenScreen® for Safer Chemicals, a method for chemical hazard assessment increasingly used worldwide and CleanGredients™, a web-based information platform for identifying greener chemicals in cleaning products. Lauren serves on the Apple Green Chemistry Advisory Board, which is tasked with helping to integrate green chemistry into Apple’s products and supply chain. For the OECD, she drafted Policy Principles for Sustainable Materials Management. Lauren served on the California Green Ribbon Science Panel. For the US EPA, she helped develop criteria for the Design for the Environment (DfE) Safer Choice and Alternatives Assessment Programs. Lauren was technical advisor to the development of the Interstate Chemicals Clearinghouse Alternatives Assessment Guide and the WA Alternatives Assessment Guide. Lauren earned her doctorate in Civil and Environmental Engineering from Duke University. She was a Fellow with the American Association for the Advancement of Science (AAAS) in the Green Chemistry Program at the US Environmental Protection Agency and is currently adjunct faculty at Gonzaga University. 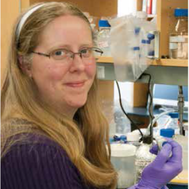 Dr. Amelia Nestler brings to Northwest Green Chemistry her background in biochemistry research, teaching, event management, and alternatives assessment. Amelia serves NGC’s mission to enhance human and environmental health via green chemistry and engineering by leading NGC’s webinar series for green technology entrepreneurs, performing research on diverse green chemistry and engineering subjects, and contributing to project and program development and the operational management of the organization. Recently, Amelia led research and preparation of NGC's Washington State Antifouling Boat Paint Alternatives Assessment report, and NGC's facilitation of the Emerald Corridor Green Chemistry & Engineering Roadmap (2018-2023): Goals & Recommendations for Collective Impact. Previously, Amelia supported GreenScreen for Safer Chemicals at Clean Production Action by presenting at workshops in the green building sector and developing materials for on-line training courses. Amelia earned her doctorate in Biochemistry at the University of Wisconsin-Madison and her B.A. in Biochemistry at Lewis & Clark College. Brit brings her enthusiasm, innovative ideas, and technical expertise to NGC. Brit graduated from Oregon State University in 2015 with a BS in Chemistry and completed her MS in Chemical Engineering at Oregon State University in 2017. While at OSU, she managed two heavily active research groups as Lab and Safety Manager for the Rheology and Complex Fluids research laboratories and was the graduate representative for the College of Engineering’s Safety Culture Guidance Team.